Is there a better alternative to LinCity-NG? Is LinCity-NG really the best app in Simulation category? Will LinCity-NG work good on macOS 10.13.4? 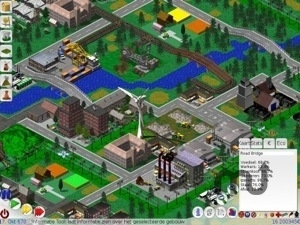 LinCity-NG is a City Simulation Game. It is a polished and improved version of the classic LinCity game. Within the scope of the GoTM project at happypenguin we have created a new iso-3D graphics engine, with a completely redone and modern GUI. LinCity-NG needs a review. Be the first to review this app and get the discussion started!